is elated and honored to Celebrate the Life of this woman of experience, strength and hope. Having risen above some of life’s toughest challenges, walked through some of darkest moments in areas of ‘Abuse, Addiction and Cancer’, passing through the Light at the End of the Tunnel, this gal devotes her life today to helping others, focusing on WOMEN. She is a trail blazing babe in pink! At 13 I started skipping school, drinking and using drugs. I married a very emotionally abusive man with a very shady background involving a motorcycle gang. He was 40, I was 20. In 1990 we had a beautiful son. Cody was the only thing in life that mattered to me and so when he was 9 months old I finally got the courage to leave my abuser. I left for my son.That was when I got right back into my addiction. How is Violence Against Women Defined? Acts that result, or are likely to result, in physical, sexual and psychological harm or suffering to a woman, including threats of such an act, coercion or arbitrary deprivation of liberty whether occurring in public or private life. Violence is a major factor in women’s health and well-being. 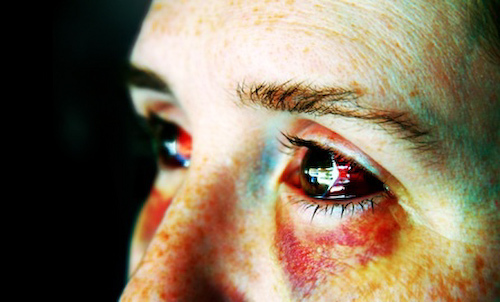 The measurable health-related costs of violence against women in Canada exceed $1.5 billion a year. These costs include short-term medical and dental treatment for injuries, long-term physical and psychological care, lost time at work, and use of transition homes and crisis centres. Statistics Canada’s report Family Violence in Canada: A Statistical Profile, which analysed data provided by 154 reporting police agencies, shows that: women continue to outnumber men nine to one as victims of assault by a spouse or partner; in 1996 half of all family homicides involved spouses; between 1977 and 1996, three times as many women were killed by their spouses as were men killed by their spouses; girls are at greatest risk of sexual assault by a family member while between 12 and 15 years of age; in 1996 nine of ten crimes committed against older adults by family members were physical assaults. Finally in 1993 my parents told me if I didn’t do something about my drinking they would fight for custody of my son. I started attending Alcoholics Anonymous. I was 24 years old. 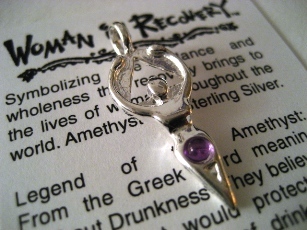 Alcoholics Anonymous (AA) and other similar groups and the ‘increasing membership of women’. Alcoholics Anonymous is a fellowship of men and women who share their experience, strength, and hope with each other that they may solve their common problem and help others to recover from alcoholism. There are no dues or fees for A.A. membership; we are self-supporting through our own contributions. A.A. is not allied with any sect, denomination, politics, organization or institution; does not wish to engage in any controversy, neither endorses nor opposes any causes. Two years later, I was hired at a Drug and Alcohol treatment centre as a weekend counselor. Then I decided that I just might be smart enough to go to college. I graduated 3 years later in Rehabilitation Counselling (honors). I figured I could really do some good if I tried again so I spent 6 years completing my Human Services Counselor Diploma (honors); while raising my son. One of my professors was the E.D of a shelter for Abused Women and asked me to work there. I started as a counselor in 03 and am still there. 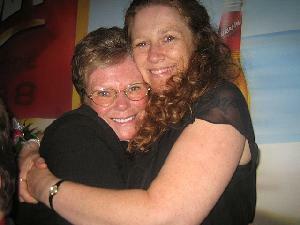 In 2008 my mom and I were both diagnosed with cancer within the same week. She had breast cancer and I had Oropharynx (throat) cancer. I was 39 and she was 61. My sister in law was diagnosed with colon cancer within roughly the same period. 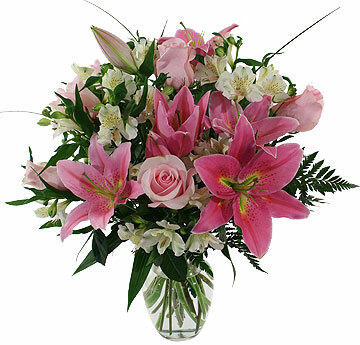 The chemotherapy and radiation treatment saved my life but one week after I finished my 35th radiation treatment I lost my greatest love and best friend, my mom to the cancer. I was so incredibly sick and had such low blood counts from my treatment that I was not able to visit her in the hospital because of the risk to my own life. By the time I finally insisted that I be taken to her (my own health be damned), she was unconscious. I never got to speak to her again. The pain of losing her was the greatest and deepest pain I have ever known. During this time every ounce of faith, emotional and physical energy I had was tested. My sister in law Catherine was taken from us months later. Being with her in the last few moments of her life was absolutely gut wrenching. 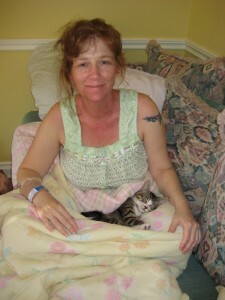 She had become so very sick I barely recognized her when I got to the hospital the day she died. 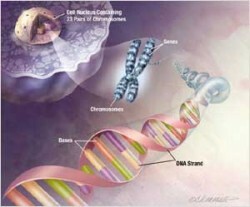 In 2009, I tested positive for the BRCA 1 breast cancer gene. This meant that I had a 50 to 85 percent chance of developing breast cancer and a 20 to 40 percent chance of developing ovarian cancer. Instead of waiting for the cancer to possibly come get me I decided to go get it. 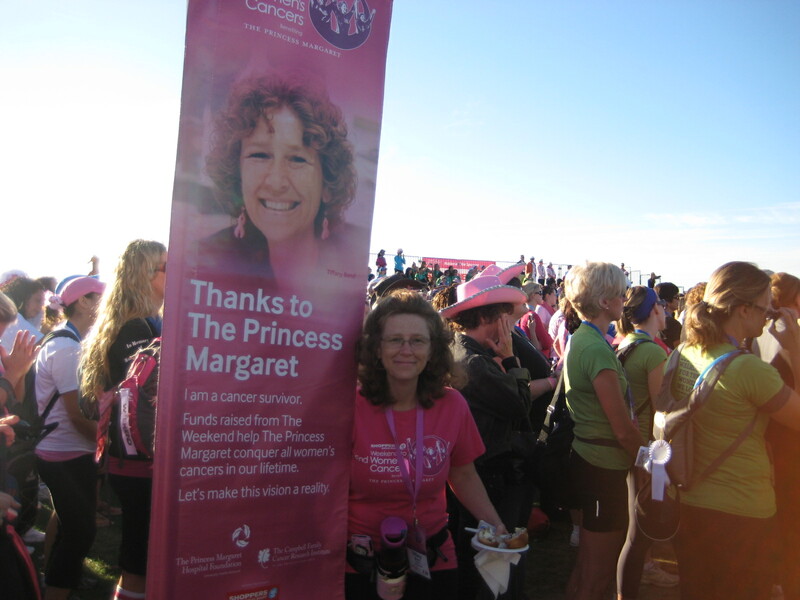 As a result I had a hysterectomy in Sept 2010 and a double mastectomy and reconstruction in Nov 2010. After my surgery I developed a never diagnosed infection in which my body started attacking itself. My breasts basically started melting (though the reconstruction consisted of my own body fat). Very nasty things were happening to my body and in fact I was moved to a private room and quarantined. Medical specialist from PMH, TGH and Mt. Sinai all collaborated to try and determine what was going on. Most of them had never seen anything like this infection. The infectious disease dept at TGH was able to entice a highly regarded Dermatologist from Mt. Sinai to come over to see me. Though he did not know what exactly the infection was he was able to come up with some extreme antibiotics which actually worked. After two weeks in the hospital I was finally able to leave though I had to have home care to come look after my breasts which were actually called wounds at that point. They eventually healed. Do I regret anything I have done? Absolutely not!!! Would I do it again? Absolutely!! One of my sisters did that tested positive completed the same surgeries that I did. My youngest sister has not tested which is her choice. “No one can make the choice for you”. After coming so very close to death in 2008 my goal then was to survive, but now that I am healed and have learned to deal with the side effects of my treatment, my goal is to share my hope with others and to give back for all that I have been given. 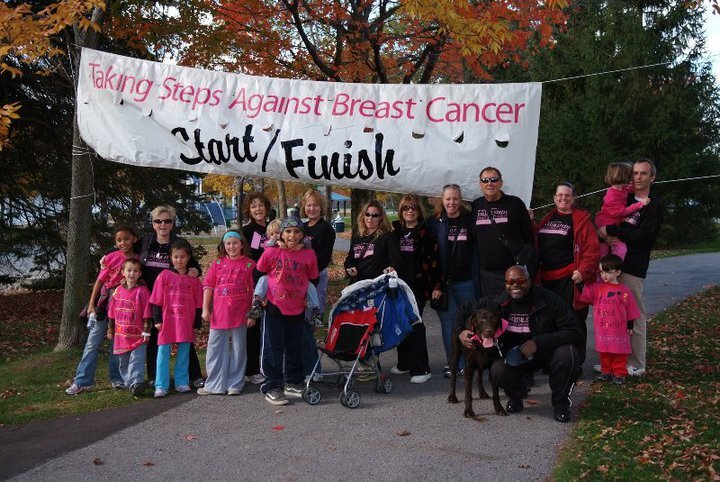 As a result I have been doing Cancer fundraising and have been honored to be on TV, radio and in newspapers for the “Walk to End Women’s Cancers” and the “Taking Steps against Breast Cancer” Walk, again on OCT 14, 2012 in Whitby, ONT. I have given talks to ESL classes as well as ballrooms of Canadian Cancer Society volunteers and am willing to do whatever I can to help the cause. Tiffany is a Busy Survivor, no Thriver !!! 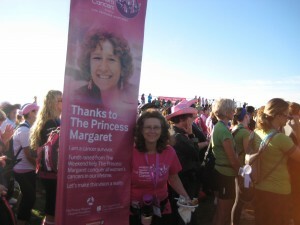 Having my picture used on the banner for the Princess Margaret Foundations Walk to End Women’s Cancers 2011. I have been in fashion shows as a cancer survivor at the local mall 2011 for the Pretty in Pink Awareness day. I am involved in about 8 clinical trials to help advance knowledge about differing aspects of a cancer diagnosis, treatment and post care. 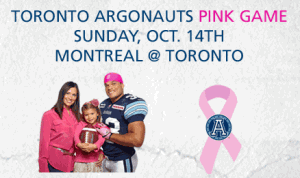 Tiffany will share her Story with Toronto at a Special Post Game Speaker Event hosted in partnership with A Celebration of Women™ and The Toronto Argonauts Football Club in celebration of their PINK DAY GAME. PINK DAY, a football game, raising funding for The Canadian Breast Cancer Foundation. Yes, this powerhouse will manage the Cancer Walk in Whitby from 1 – 4 PM; then, drive ‘fast’ to Toronto and speak on behalf of all cancer survivors! Cancer Survivors are a wonderful group of people that embrace life in a way that only they can explain. Come out and JOIN US to hear Tiffany’s Story !!! and looks forward to watching her Take Action with the Women of our World !! !